Runners get the chance to run through the picturesque rolling hills and covered bridges of northeastern Vermont in the fall at the Kingdom Challenge Half Marathon & 5K, which offers a course that runs through some of the most scenic countryside and quaint New England town areas of Vermont’s Northeast Kingdom area. Popular among vacationers for its plentiful skiing and snowboarding opportunities in the winter and its relaxed pastoral setting for camping, fishing, golf and nature and wildlife viewing in the summer, the area offers a wide range of recreational activities to take part in before and after the race. The point-to-point course for the race starts in Lyndonville, a small town of just over 1,200 in the state’s northeast corner, and finishes 13.1 miles later in St. Johnsbury at the intersection of Baxter Avenue and Western Avenue. 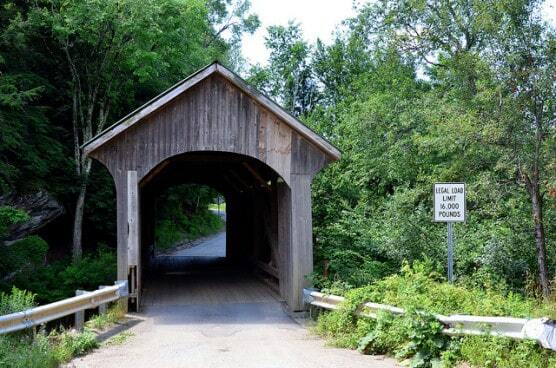 Along the race route, runners will have the chance to run through four covered bridges along the back country roads of rural Vermont, and will encounter a couple of hills that race organizers say are “moderately challenging.” The race follows a north-to-south route, and is run on paved surfaces throughout. Just shy of 350 runners and walkers completed both the half marathon and 5K at the race’s 2013 running, with 130 runners crossing the finish line in the half marathon alone (while the half is open to runners only, the 5K is open to both runners and walkers). Those running the half start their race at 8:30 AM in Lyndonville, followed by those participating in the 5K at 9:30 AM in St. Johnsbury. Nestled among the rolling hills of the part of the state known as the Northeast Kingdom, the town of Lyndonville typically experiences mild to cool (and sometimes cold) weather in the mid-fall season. On race day (Oct. 27), the average low is 31ºF and the average high is 49ºF. See the race route map for the Kingdom Challenge Half Marathon here. To reserve your spot in the 2018 running of Lyndonville’s The Kingdom Challenge Half Marathon or 5K race, visit the event website below. Ever run in the Kingdom Challenge Half Marathon? Share your impressions here, or post your review in the Comments below.